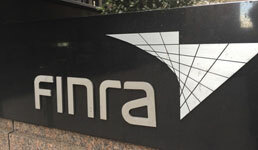 As the new Finra chief embarks on a “listening tour,” advisors want him to know that the amount of rules and the size of the regulator’s fines is crippling the industry, InvestmentNews writes. Robert Cook, who in August was appointed as the regulator’s president and chief executive, is going on a tour to talk to Finra member firms and industry groups, along with regulators, policymakers and investors, according to the publication. Advisors want Cook to know that recent Finra rules have added too much paperwork to basic tasks such as opening new accounts and rollovers, InvestmentNews writes. More rules aren’t going to catch the next Bernie Madoff, says Phillip Cook, the owner of Mogul Wealth Management, tells the publication. But overregulation could push firms out of the industry entirely, Cook, who is not related to the new Finra chief, tells InvestmentNews. Meanwhile, Jon Ten Haagen, founder of Ten Haagen Wealth Management, says the regulator should focus on enforcement instead, going after the bad apples rather than the whole industry, the publication writes. And Allan Katz, president of Comprehensive Wealth Management Group, tells InvestmentNews that advisor credentials could be strengthened by cutting down their number, removing licenses such as the Series 6, which permits an advisor to sell only open-end mutual funds and variable annuities. Dean Jeske, who left Finra earlier this year and is now a partner at Foley & Lardner, says the advice industry is having a hard time with the increasing size of Finra fines, according to the publication. Advisors are concerned about the relationship between Finra and the Department of Labor’s fiduciary rule, which will require retirement brokers to put clients’ interests ahead of their own, InvestmentNews writes. FAs want to know whether Finra’s new chief considers himself a “leader” of the advice community or a regulator first, Todd Cipperman, principal at Cipperman Compliance Services, tells the publication.